TheMediagoon.com: World’s Fare at Citi Field Parking Lot in April. This is definitely a better use of the Shea parking lot instead of a mall. CitiField is centrally located in New York City, near the 7 line and a short distance from Flushing Meadows-Corona Park. The location is intended to bring back memories of the World’s Fairs of the past, by being in the shadow of the landmarks and structures that were built around them, including the Unisphere and the New York State Pavilion. In addition to the food and drink offerings, throughout the weekend live music will be performed by bands representing about a dozen cultures as well as art installations including LEGO Art, 4 dimensional drawings, street art and painted scripture. Chefs, restaurants and street food vendors representing as many as 100 cultures. An expertly curated international beer garden will offer tastings of over 80 craft beers from about 45 breweries. 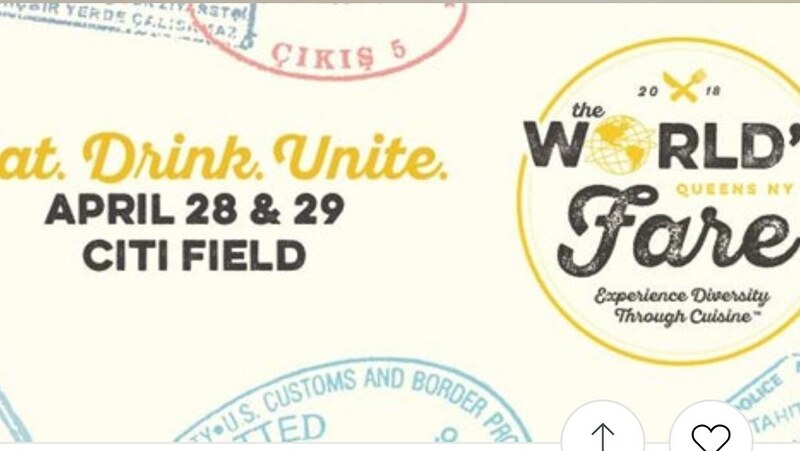 Scholarships to attend The World’s Fare, free of charge, for 4 food vendors selected by committee members and tastemakers. Awards for best food determined by committee members and tastemakers. Visitors’ choice award for top vendor determined by attendees. Art, music and activities embracing and transcending many different cultures and age groups are an integral part of the festival. The World’s Fare will be a family-friendly event running from 11am – 8pm on both days. Tickets are being sold for entry for access to vendors and activities as well as to the international beer garden in a separate, ticketed, over-21 area.